A fun way to get your message across and keep your logo visible! 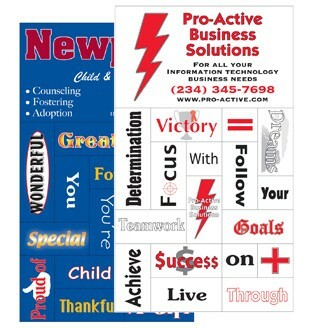 Available with standard words, or customize your promotion and choose your own. Detach the words and make your very own magnetic message!